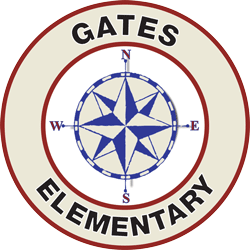 On behalf of our outstanding staff, I would like to welcome new and returning families to the 2018-19 school year at Catheryn Gates Elementary School. We are looking forward to another school year filled with success and accomplishments. In order to get up to date information, please check out our school website, which includes our bi-weekly newsletter and calendar. There are links to parent groups on campus including English Language Acquisition Committee (ELAC) and School Site Council (SSC). We will also be posting reminders on our marquee, calling home, sending e-mails, and posting on Facebook. Lastly, the Explorer Express will go home via e-mail every two weeks. Please make sure we have an updated e-mail on file so you are not out of the communication loop! Our Mission at Catheryn Gates is to provide an outstanding educational environment for all of our students and you will find this school year to be no exception. We look forward to working with students and parents to continue to make Catheryn Gates a great place to be!